For dinner, after wandering around the Subic Freeport Zone, searching for one of our favorite places here, we finally made it to Sakura. This was our second time visiting this place, but the first time was with family and we had easy transportation. Getting here without navigation and just walking was quite a hassle. Still, since the Freeport Zone wasn’t that big, it’s still walkable from our hotel which was at the bay area. First thing we noticed was the place was still similar, what they serve was still similar, but the prices increased dramatically. Not surprising, due to inflation, but it’s more than the expected 20% given it’s just five years that passed (I’m estimating around 4% inflation rate)—their prices increased up to 33%. Anyway, since this was a special vacation for us, we decided to splurge a bit. We got their Regular Sashimi (800 Php), Ebi Tempura, 5pcs (450 Php), and Hiyashi Chuka (330 Php)—similar orders from what we had before. Sadly, they ran out of octopus which was supposed to be part of the Hiyashi Chuka, and they were replacing it with sardines, which we agreed to. In addition, we also got their Asparagus Bacon (160 Php) and Chahan (200 Php). Finally, we ordered their Matcha Halo-Halo (190 Php) for dessert. 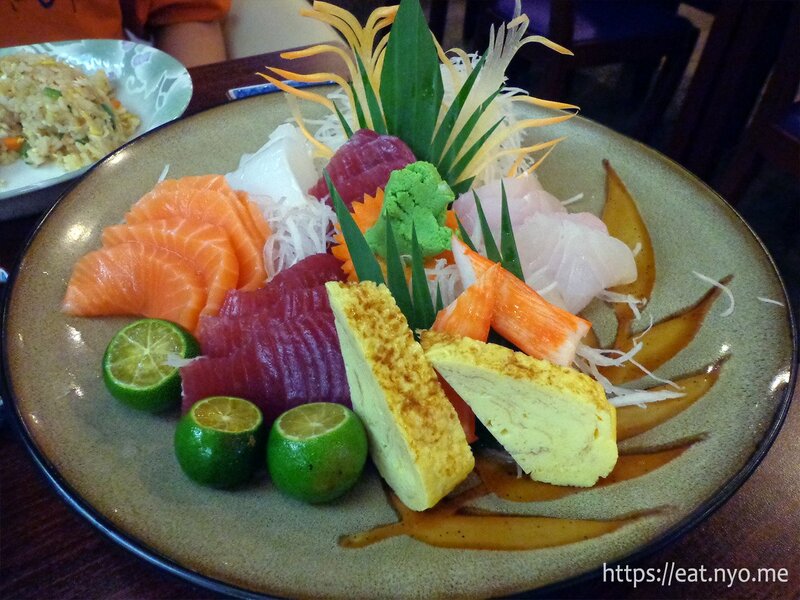 Their Regular Sashimi was still same as before—beautifully plated and had the mainstays of salmon and tuna as well as squid, octopus, yellowtail, kani, and tamago. They were all fresh and delicious, as they should be. 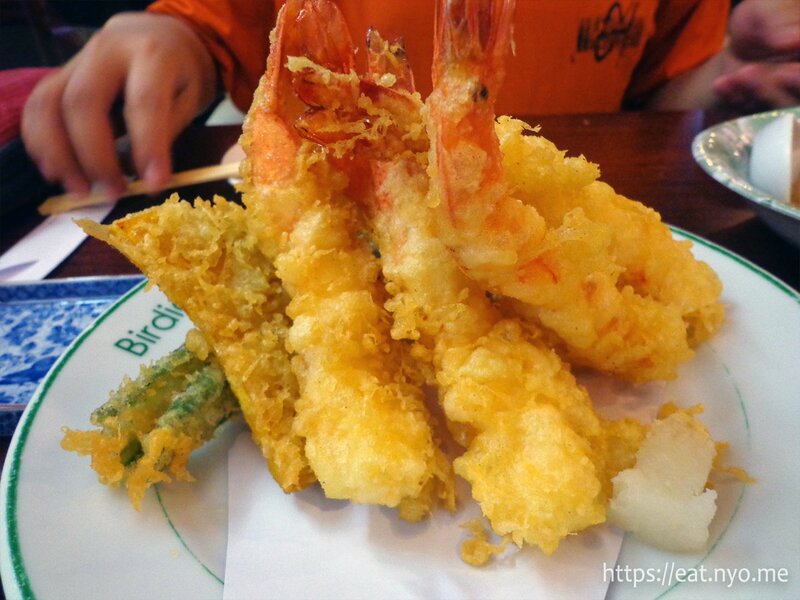 The Ebi Tempura were five huge pieces of prawns. Covered in the usual crunchy batter, they were cooked well and did not have any raw flour residue. There were also some of the usual veggies cooked tempura style as well—pumpkin, okra, and carrot—which were welcome additions to the crunchy and scrumptuous stars of the dish. Our colorful Hiyashi Chuka was better plated this time around. 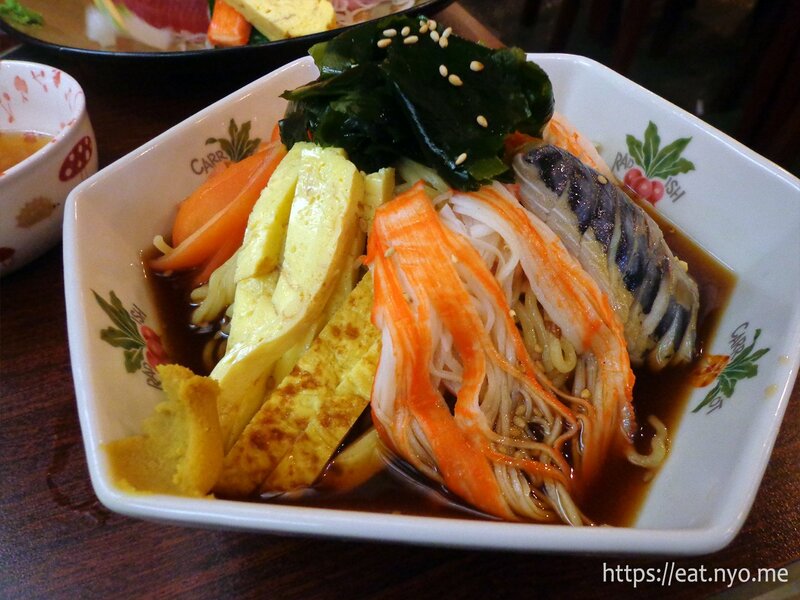 It still had the same toppings of kani, tamago or eggs, tomatoes, pork, and other veggies over noodles coated in a sesame-soy sauce. Flavor-wise, it’s still more sesame than soy. This time, there’s salty sardines instead of the chewy octopus which went well with the dish. I’d actually prefer this variant than their usual, if given the choice. 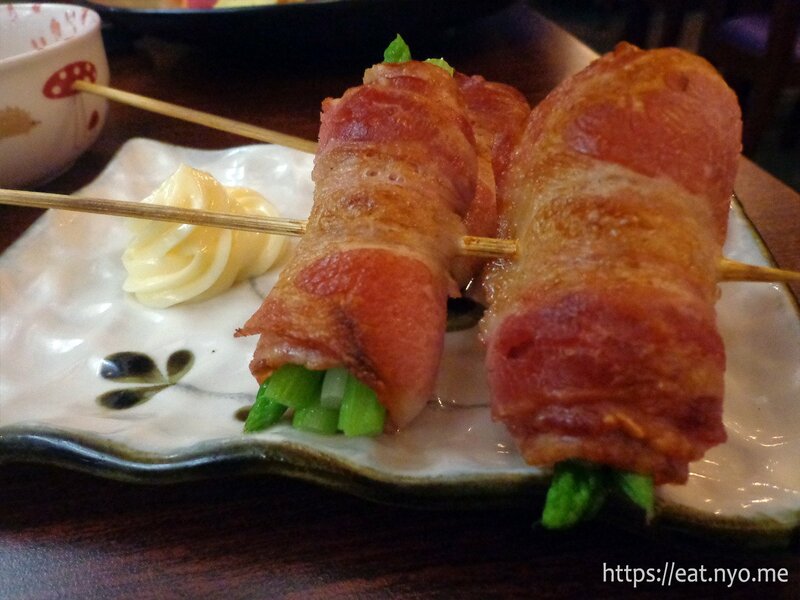 The Asparagus Bacon came in two sticks of two pairs each. The bacon was cooked semi-crispy which held the generous amount of asparagus inside. This is one of the larger versions of this dish that we’ve tried. It also came with mayonnaise instead of a usual soy or sweet sauce. They honestly didn’t need any sauce, at least if you like bacon and crunchy asparagus. Their Chahan arrived in a small plate. It was a cup of fried Japanese rice, a bit smaller in size than what we’re used to. Since we’re not big rice eaters, it’s okay for us, but admittedly, a bit on the expensive side, price-wise. What’s nice about their take on the dish is the generous amount of meat, specifically shrimp and pork, mixed in. Finally, their Matcha Halo-Halo looked better in their menu photo. 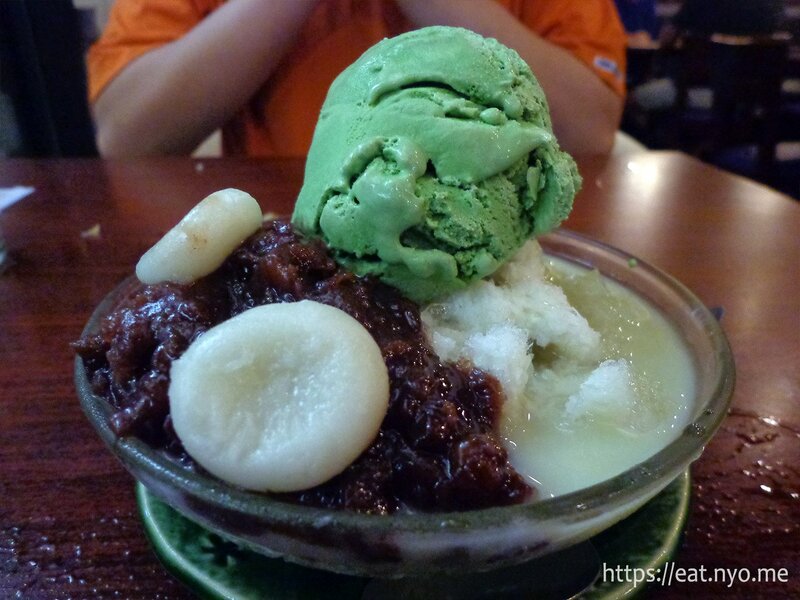 The low bowl of shaved ice and milk was half-covered in azuki bean paste and topped with a couple of chewy dango. Finally, it’s topped with matcha ice cream. Quite sweet, the generous amount of red bean made the dish worth it. With over 2,000 Php spent, it was one of our more expensive dinners. 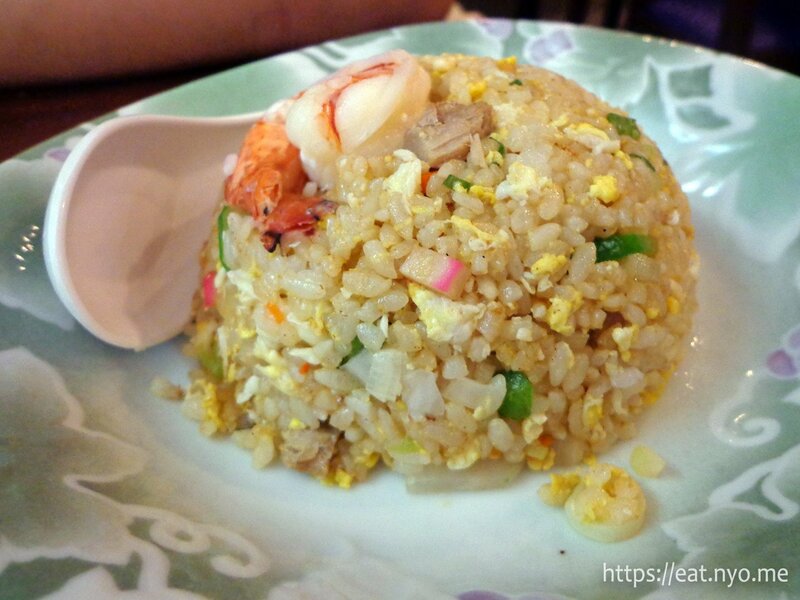 When we first visited Sakura, I gave it a “perfect score” for this blog, despite being relatively as expensive. The main reason for that was, at the time, it was indeed the best Japanese restaurant we’ve been to. Everything just seemed so foreign and at the same time very fulfilling. Now that we’ve been to many more Japanese food places, especially in our adventures at Little Tokyo, I can say that this place is very similar and comparable to the places there. Still, since we like those places better than most places we’ve tried, and this place can be considered its own “Little Tokyo in Subic”, I’d say this is a must try if you’re in the area. Budget: 500+ Php per head. Not recommended for: Impoverished travelers. Smart nomnomnom tip: Variety, variety, variety… and save up for this place.